A premiere, a concerto and a symphony. Those are the ingredients in “Passionate Collisions,” the season-opening program of the Boulder Symphony, to be performed at 7 p.m. Saturday, Sept. 20, at the First Presbyterian Church in Boulder. The largely volunteer orchestra’s music director, Devin Patrick Hughes, will conduct and pianist Toku Kawata will be the soloist for Rachmaninoff’s Second Piano Concerto. What Trees May Speak continues a trend in Boulder of orchestral pieces that call on natural inspirations, including last week’s season opener of the Boulder Philharmonic (Gates of the Arctic by Steven Lias), pieces performed last season by the Phil (“Formations” Symphony by Jeffrey Nytch and Ghosts of the Grasslands by Steve Heitzig, among others), and other works from Pro Musica Colorado and the Colorado Music Festival in recent seasons. Hughes sees a link from the Sokol piece to Sibelius. “I’m thinking of Sibelius as an outdoorsman,” he explains. “(He) basically thrived in these remote locations and was inspired by birds but also by the rest of nature. “Sibelius is one of my favorite composers. It’s my goal to play all of the symphonies that are unknown. I think they’re all just as powerful as the Second and Fifth. To me what’s fascinating about this composer is his music created a national identity” for Finland. Living in the late 19th and early 20th centuries, a time that Finland was not yet an independent nation, Sibelius drew on Finnish mythology and literary sources such as the Kalevala epic as subjects for many of his orchestral works. The Finnish people embraced his music as a symbol of their culture and desire for independence from the Swedes and Russians who had long ruled their country. This was expressed most overtly in Sibelius’s tone poem Finlandia, which was conceived in part as a protest against oppressive Russian rule over Finland. The First Symphony is a little bit of a surprise choice for the program. 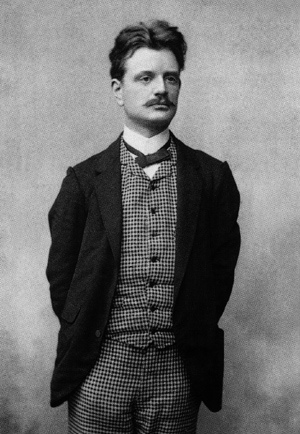 Written in 1898, when Sibelius was 33, it is not as well known as some of Sibelius’s later symphonies, especially the Second and Fifth. It has many of the characteristics of the composer’s mature style, including use of woodwind solos, a spare orchestral sound that seems evocative of Finland’s landscape, and a highly individualistic, indirect approach to melodic construction. The Rachmaninoff is another surprise choice for a largely volunteer orchestra whose size is limited by the space available in the First Presbyterian Church where they perform. Most of us are used to hearing Rachmaninoff’s lush, Romantic scores played by a full symphonic contingent of 100 to 120 players and a string section of 60 or more. Hughes and Kawata met when they were both at Aspen a number of years ago. Having met again when Kawata came to Boulder for doctoral studies, this will be their first opportunity to perform together. 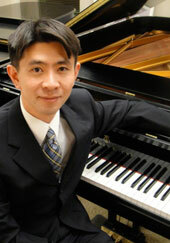 It is also Kawata’s first opportunity to play the Rachmaninoff concerto, as well as his first appearance in Colorado. 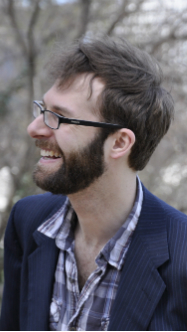 Kawata is a doctoral piano student of Andrew Cooperstock in the CU College of Music. 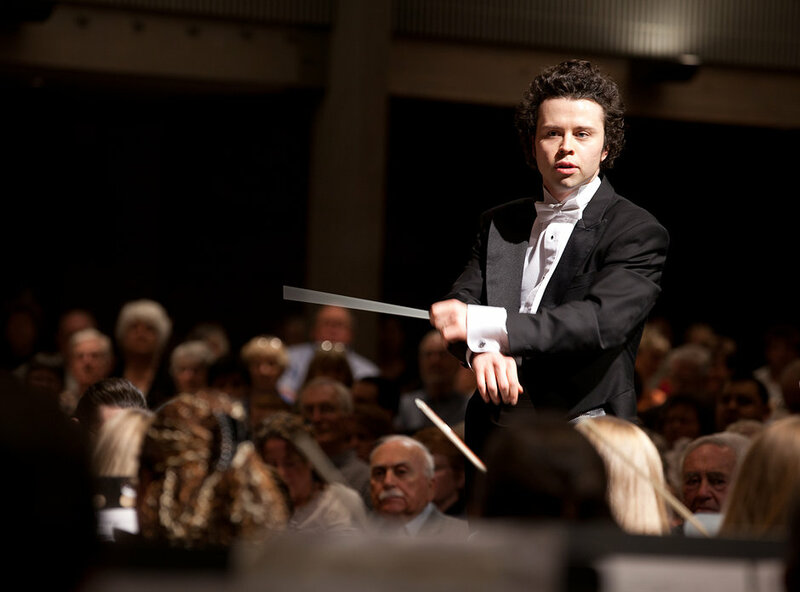 In addition to holding degrees from the University of North Texas and the University of Central Arkansas, he has studied at the New England Conservatory and the Aspen Music Festival. He is also the winner of several competitions and made a solo debut at Carnegie Hall in 2010. You may be wondering, what are the “Passionate Collisions” that provide the title for this concert? New and old? Soloist and orchestra? Natural sounds and instruments in Sokol’s score, representing the collision of man and nature? No to all of those. It turns out Hughes had something more specific in mind with the title: a political collision between cultures and peoples.